One of the most popular hangouts in Mumbai, Versova Beach is a secluded beach located in the suburbs of Andheri in Mumbai. The natural beauty of the beach is truly unmatched. Tread through the golden sands of the beach, enjoy sunrise and sunset, indulge in water sports or just sit back and have a look at its beauty, the beach is perfect for a day out with friends and family. Located near the beach are attractions like Kolaba fort. A number of Bollywood stars stay near the beach, which is why the beach is immensely popular. 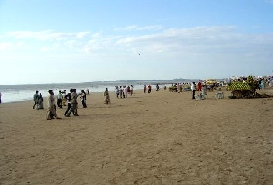 There a number of eateries at the beach where people can enjoy snacks like Pani Puri, Bhel Puri, Chana Masala and Pav Bhaji. 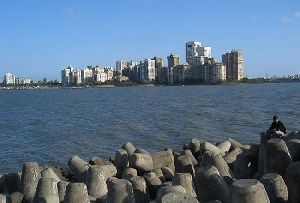 Facing the Arabian Sea, Versova Beach offers breathtaking views of the sunrise and sunset. The beauty of the beach is so mesmerizing that it leaves every visitor spellbound. Visitors also get to indulge in activities like horse riding, cycling and swimming. 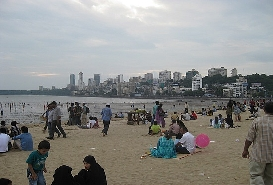 Versova Beach is the venue for a number of celebrations like Ganesh Chaturthi and Coconut Day. The beach is well known for being home to Kolis- a large fishing community. Fish market of the beach and the village at one of its end is popular all across Mumbai for selling a wide variety of fish. 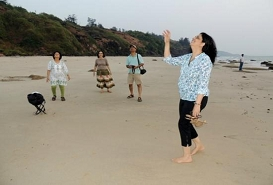 Versova Beach is a popular destination for nature lovers and shutterbugs. Photographers get to capture the scenic beauty of the beach. 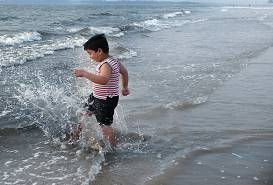 The beach is a great place for children as they can enjoy activities like horse riding, swimming and water sports.